The investigatory project “Utilization of Discarded Chicken Leg bones into Natural Glue” came to fulfillment through the moral help, guidance and financial support of dear parents who are always there to guide the researchers. Thank you for the researchers’ chemistry teacher, Ms. Corazon Gracias who helped and encouraged the group to do this project and who gave the researchers some ideas on how they can do the project in a good and presentable manner. The researchers would also like to thank the Library staff who contributed to providing references needed in doing this project. The researchers are also grateful for the moral support and the inspiration their friends have given. Most of all, the researchers give their utmost appreciation and thanksgiving to the Great and Almighty God for the guidance as the researchers go on with the project, for the strength, for the love and especially for the knowledge and wisdom He has given. Without whom, this project would not be possible. With the increasing need of the use of adhesives in school activities and works and as the prices of commercial glue continues to rise, the researchers set out to look for the possibility of using other materials that can be made into glue. The researchers happen to cross with a printed material that states that bones may be used as adhesives. With this, they looked for other evidences in the internet that such glue can be made and they set to make their own bone glue. The researchers first considered what kind of materials they will be using. Being a common household and commercial waste, discarded chicken leg bones were chosen. They studied and determined the feasibility of utilizing the discarded chicken leg bones into glue. After undergoing some processes, bone glue was successfully made by the researchers. They tested it on different types of materials such as papers of different thicknesses, folders, boards, and even on wood. So far, the bone glue was found effective in all the materials that were considered. They also tested its efficiency through time. The researchers found out that as it ages, the bone glue’s strength to bond together materials also decreases. They were also able to identify and verify its contents by doing some simple and common laboratory tests. Through a simple flame test, calcium was found in the glue. The flame turned into red as the glue came into contact to the flame. It can also be deduced through observing the materials used in producing the glue, bones. It is for a fact that bones are a great source of calcium. A simple qualitative method to determine the presence of phosphate ions was also executed. A small amount of bone glue is acidified by adding an acid ammonium molybdate solution. After dropping it into the sample, a yellow stain was seen which indicates the presence of phosphorus by a crust of yellow phospho-ammonium molybdate. The researchers chose to make natural glue by utilizing chicken leg bones to find other ways in making glue by looking into the possibility of tapping cheaper sources. It is a fact to everyone that adhesives today are expensive. Glue is a type of liquid adhesive used by all people in different things and for different purposes. The researchers recognized the usefulness and essence of glue in a human’s life. With this project, the researchers can make use of the chicken bones in order to produce a cheaper kind of glue. The researchers also considered this project because it does not need much time and money. The procedures in this project can be done in just several hours. Money is not of much use in this project because the main material to be used is a waste that is very common in every household in the Philippines. Another reason why the researchers chose to do this project is because of the accessibility of the materials to be used. The students are planning to generate glue using natural resources that seems to be a waste for others. 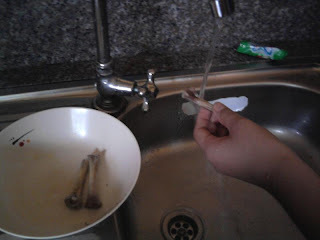 The basic ingredients in doing this project are water and chicken bones. 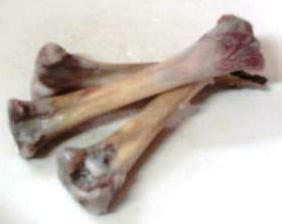 Chicken bones are one of the most common discarded household wastes in our country. Most people seem to throw it after finishing eating. Since people do not eat bones, the students thought of what could be done with the said leftovers. Lastly, the researchers picked to use bones because of its composition. The scraps are rich in collagen. Collagen is a protein which is very good in bonding things together. This material may be effective in making an adhesive. The main objective of this project is to utilize chicken leg bones into glue. The group is expected to create the said product using different processes and using materials that are considered as waste or cannot be used anymore. 1. Is it possible to produce glue out of animal bones? 2. What is/are the process/es needed to be undergone in order to generate the product? 3. What composition of bones makes it effective to be used as glue? 4. Is the proposed glue effective as an adhesive to different kinds of materials? 5. What specific types of materials can this glue bond? 6. Is the produced glue as efficient as other commercial glues sold in the market? 7. Is the proposed glue safe to use? 8. How long can this glue last? 9. Is using chicken leg bones more appropriate in utilizing glue than making it food for the dogs? Being student researchers, the benefits of this project to students were deeply considered. This project will help lessen the burden of the students who undergo financial difficulties on how to budget their money. This project will also develop the researchers’ resourcefulness by making use of supplies that are considered scraps through recycling. It will also be able to contribute to the realization that tells everyone that each of us can contribute in the betterment of science through discovering new ideas. This project can help not only students but also those who are in the community. The product that the researchers are planning to develop can help the people economically by saving money in buying expensive glues that is sold everywhere by creating an alternative that is not only very easy to do but also has accessible materials. People without permanent jobs can also use this as an additional source of income or even a new kind of business. This study can also help in lessening the household waste of any community. Nowadays our country has big problem about our economy. Everyone can help to solve it by being practical. Recycling is a way to be practical. Adhesives today may cost a lot. By creating this new kind of glue, the country may develop the industry of glue-making through a more eco-friendly and cheaper manner. Bone is a hard substance that forms the framework of the bodies of animals with backbones, including human beings. A smooth material called cartilage makes up the ends of long bones. The junctions between neighboring cartilage surfaces, which are surrounded by ligaments (fibrous tissues), are referred to as joints. Bones give shape to the body. They support the body and protect its vital organs. Bone also stores such minerals such as calcium, phosphate, and sodium and releases them into the body as needed. Information from the World Book Encyclopedia 2002 Edition states that about 2/3 of the weight of the bone tissue consists of minerals, mostly calcium, phosphate, and carbonate. The rest is organic material, largely the fibrous protein collagen. When boiled in water, collagen yields gelatin. If a long bone is soaked in acid, the mineral matter dissolves and the organic part becomes so soft that it can be tied in a knot. The non-mineral component of a bone, containing collagen and other protein substances, is called the bone matrix. In the process of making the bone glue, hydrochloric acid was used. The World Book Encyclopedia 2002 Edition describes hydrochloric acid as a dangerous chemical that has many important industrial uses. The acid is a colorless liquid with an irritating odor. It fumes when exposed to air. It is highly corrosive and can cause serious burns. It is also called muriatic acid. Its chemical formula is HCl. The resulting product of all the finished processes is bone glue. According to the World Book Encyclopedia 2000 Edition, glue is an impure form of gelatin, a protein substance obtained by boiling bones or other animal parts. Glues are part of a larger family called adhesives. Based from the Groiler Encyclopedia of Knowledge, an adhesive is a substance capable of holding two surfaces together in a strong, often permanent bond. This will be the primary source of the finished product. This will be used as an acid to remove the unnecessary contents of the chicken leg bones. If hydrochloric acid is unavailable, this may be used as an alternative to remove the unnecessary contents of the chicken leg bones. This will be used to pound the chicken leg bones. This is where the chicken leg bones will undergo heating processes like boiling. 1. 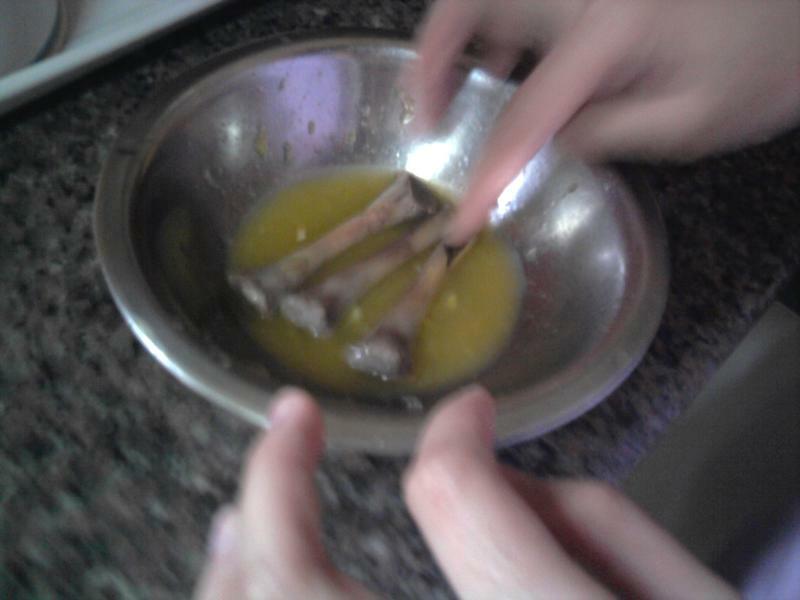 The chicken leg bones were washed thoroughly and all the left-over meat was removed. 2. 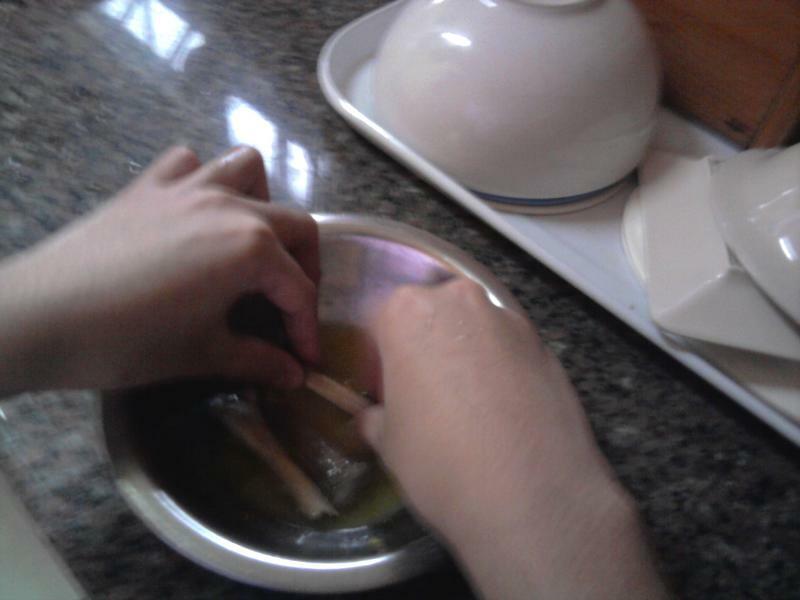 The bones were placed in a small bowl and submerged in calamansi extract. 3. After 24 hours, the bones were washed again. 4. The bones were crushed using mortar and pestle until there were visible cracks on the bones. 5. 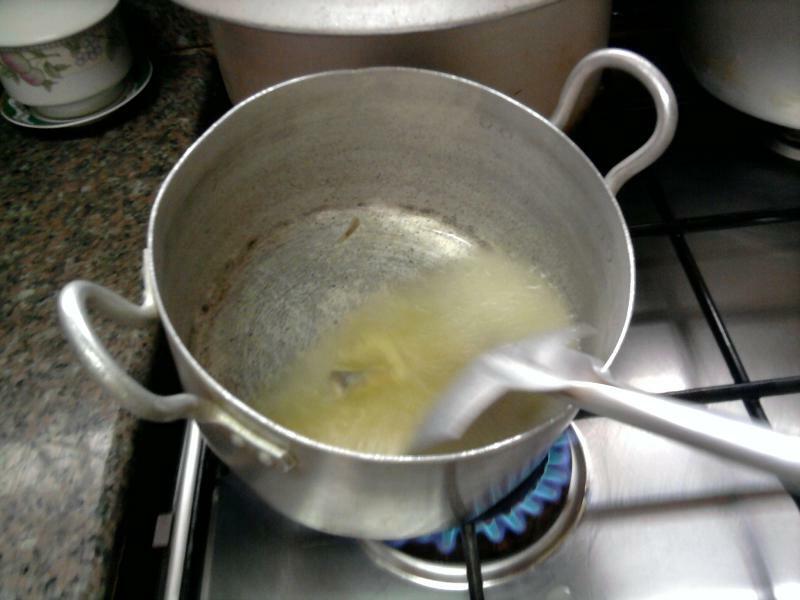 A certain amount of water that is enough to make the bones soft was boiled. 6. When the water was already boiling, the bones were put in the same pot. 7. The mixture was boiled for 15-20 minutes until the juice of the bones are already mixed with the water and until a thick substance was attained. 8. The unprocessed bone parts were separated from the solution. 9. The solution was transferred to a separate container. 10. The solution was left to cool. 11. The container was stored at room temperature. The tests for the efficiency of the bone glue were done on October 3, 2010. In tables 1, 2,3,4,5, 6, and 7, each material was adhered to itself. The horizontal axis represents the glue that was made in a span of 3 months. Glue #1 was made on July 2, 2010, prior to the submission of the Chemistry project during the first quarter. Glue #2 was made on August 2, a month after Glue #1 was made. Glue #3 was made on October 2, 2010. Table 1 shows the data gathered from the test done to examine the efficiency of the bone glue on onion skin paper. Six pieces of onion skin paper measuring 2 square inches each was used up. It took 1.5 mL of Glue #1 for onion skin paper to be adhered. But for Glue #2, 1 mL was used to bond two pieces of onion skin paper. Surprisingly, only 0.5 mL of Glue #3 was needed to attach pieces of onion skin paper. Table 2 illustrates the results collected from the test executed to assess the efficiency of the bone glue on a common bond paper, slightly thicker than an onion skin paper. 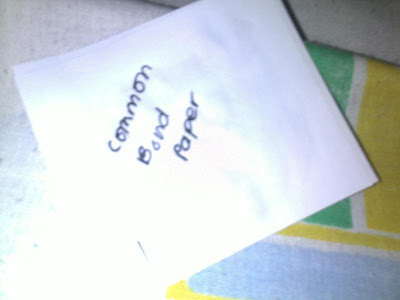 Six pieces of common bond paper measuring 2 square inches each was utilized. For Glue #1, 2 mL was used to paste two pieces of common bond paper. 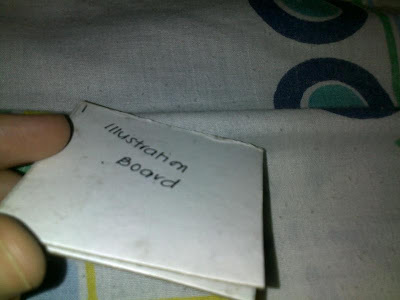 On the other hand, 1.5 mL of Glue #2 was used to join the pieces of common bond paper. It only took 1 mL of Glue #3 for bond paper pieces to be stuck together. Table 3 demonstrates the data accumulated from the test performed to analyze the efficiency of the bone glue on an oslo paper. 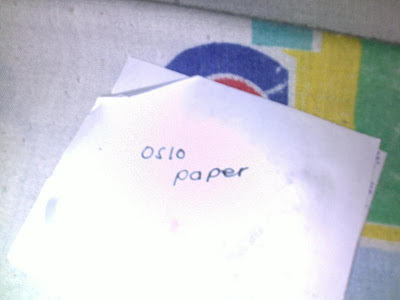 Six pieces of oslo paper measuring 2 square inches each was used up. 2.5 mL of Glue #1 was required for two pieces of oslo paper to be adhered. It took 2 mL of Glue #2 for oslo paper to be bonded. But for Glue #3, 1.5 mL was necessary to attach pieces of oslo paper. Table 4 presents the results gathered from the test accomplished to evaluate the efficiency of the bone glue on a cartolina paper. Six pieces of onion skin paper measuring 2 square inches each was utilized. It took 2.5 mL of Glue #1 for cartolina paper to be pasted. On the other hand, 2 mL of Glue #2 was used to join two pieces of cartolina paper. Only 1.5 mL of Glue #3 was needed for pieces of cartolina paper to be stuck together. Table 5 displays the data collected from the test carried out to examine the efficiency of the bone glue on a folder. Six pieces of folder measuring 2 square inches each was utilized. 3 mL of Glue #1 was necessary to for folders to be adhered. Only 2.5 mL of Glue #2 was required to bond two pieces of folders. 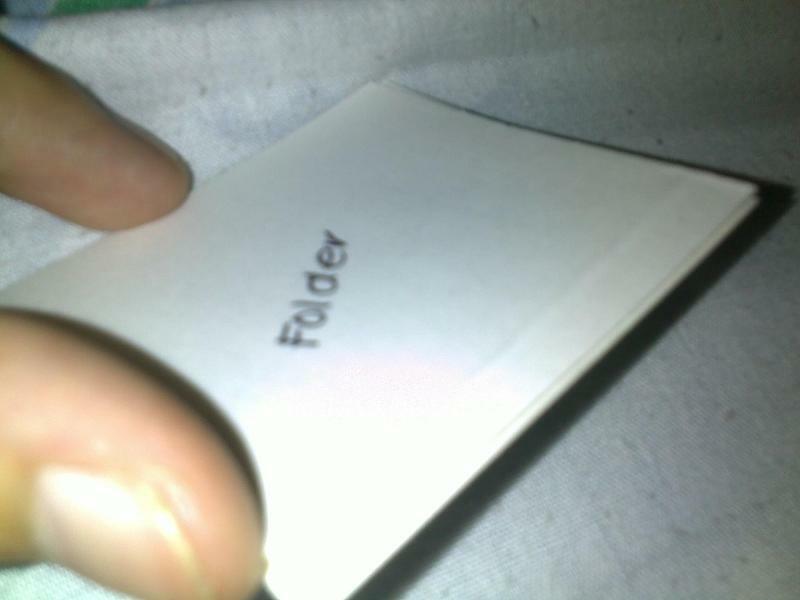 It took 2 mL of Glue #3 for pieces of folders to be attached. Table 6 shows the results accumulated from the test made to assess the efficiency of the bone glue on an illustration board. Six pieces of illustration board measuring 2 square inches each was utilized. Only 3.5 mL of Glue #1 was used to paste illustration board. It took 3 mL of Glue #2 to join together two pieces of illustration board. But for Glue #3, only 2.5 mL was needed for pieces of illustration board to be stuck together. Table 7 illustrates the data gathered from the test done to evaluate the efficiency of the bone glue on wood. Six pieces of popsicle stick was utilized as a sample of wood that can be easily obtained. It took 3.5 mL of Glue #1 was necessary to adhere pieces of popsicle stick. On the other hand, 3 mL of Glue #2 was required to bond popsicle sticks. Meanwhile, only 2.5 mL of Glue #3 was used to attach together two pieces of popsicle sticks. We can observe that the same amount of each type of glue is needed to bond pieces of oslo paper and pieces of cartolina paper. It is also the same in pasting pieces of illustration board and pieces of wood, specifically popsicle sticks. Through analyzing the results gathered and organized in a table, we can deduce that the bone glue’s bond strength is affected by its age. More milliliters of bone glue are needed for two pieces of a certain material to be joined together if it has a higher age. Therefore, we cannot assume a bone glue’s longevity. The researchers tried to compare the glue that they have produced with commercial glue or those which can be bought in the markets. Definitely, commercial glue still has its advantages over bone glue because it has been tested and improved for years. Chemicals which provide the commercial glue with much efficiency and longevity must have been added to it. On the other hand, the bone glue that was utilized by the researchers was made from 100% non-toxic materials and chemicals. Some commercial adhesives may not be safe to use. On the other hand, bone glue is sure to give you worry-free usage and utmost safety but still as effective as glues sold in the market. Figures 1, 2, 3, 4, and 5 were shown to prove that the bone glue was really tested on different kinds of materials. Figure 1 shows how the test for efficiency of bone glue on common bond paper was done. Figure 2 illustrates the way the test for efficiency of bone glue on an oslo paper was executed. Figure 3 presents the method of testing the efficiency of bone glue on cartolina paper. Figure 4 displays the means of testing the efficiency of bone glue on folders. Figure 5 shows how test for efficiency of one glue on an illustration board was performed. This study, which primarily aims to utilize discarded chicken leg bones into glue was successful in doing so. After several processes such as drying, pounding, and boiling, the researchers were able to come up with a bone glue. It was tested on different kinds of materials such as papers of different thicknesses, folders, illustration board, and wood (popsicle stick). The bone glue was found effective. However, its efficiency decreases through time. It was also verified that the bone glue contained substances such as calcium, phosphorus, and starch through several laboratory tests. Although this study has been successful in meeting its goals and objectives, the researchers have some recommendations for other possible researchers who would like to continue, improve, or to remodel this study. Further tests may be applied to the finished product. These tests may give and calculate the amount of components in the bone glue. They may also do some tests that may prove the presence of other compounds in the glue. Future researchers may also find a solution to the short efficiency span of the bone glue that was produced. They may look for chemicals that may be added to the glue to lengthen its efficiency span or they may also find ways to preserve the glue. To provide the glue with a nice aroma, they may discover if adding essential oils to the bone glue will not harm the glue’s bonding strength. For others who will decide to remain focus on the utilization of discarded chicken leg bones, it is advisable to find other means or processes to produce bone glue. Other bone parts may also be considered for future studies. The bones of other animals which are part of the human diet may be used as an alternative to chicken leg bones. Glues can be made from a variety of materials and future investigators may adapt the processes and tests that this group has done to their finished product. · “Adhesive”. Groiler Encyclopedia of Knowledge. 1998 edition. 1998. · World Book Millenium 2002 Encyclopedia. 233 North Michigan, Chicago, 2000. Manufacturing: With Lead-free, Halogen-free, and Conductive-adhesive Materials. McGraw-Hill Professional, 2002. Guide. Industrial Press Inc., 1994. · ee I. Skeist, ed., Handbook of Adhesives, 1962. · N. A. de Bruyne and R. Houwink, ed., Adhesion and Adhesives. 2nd ed. · J. Kinloch, Adhesion and Adhesives: Science and Technology .1987. · Katz, Irving. Adhesive materials, their properties and usage. Long Beach, California. Foster. 1971. · O’Hanlon, George. “All About Hide Glue: The well used but little understood artists adhesive and painting medium”. <naturalpigments.com/education/article.asp?articleID=111>. Hello we are high school students who are tasked to experiment on organic adhesives. We followed your procedures for our ip but the result is not as expected, it did not form any sticky substance. are there any lacking procedures or informations you have not provided? thank you so much! Hello Michael! It would be better if you try using Muriatic Acid to make the bones softer for pounding. We also added something to the final product that was not included in the paper. You can send a direct message to my e-mail so I can discuss it with you further. um, sorry i don't know your email address. :( our defense is tomorrow and i hope you could help us. what is the missing ingredient? May I ask for the missing ingredient too for our investigatory project? hi po whats the missing ingredients ? what school din po kayo ? Hello, my email is 851608235@qq.com, can you please tell me the missing ingredient? Hi! :) I'm a 8th grade student and I was just wondering what was the missing ingredient. Please please please mga ate :c I need it so badly kasi I'm expected to pass it this friday. Thank you mga ateeeeeee. 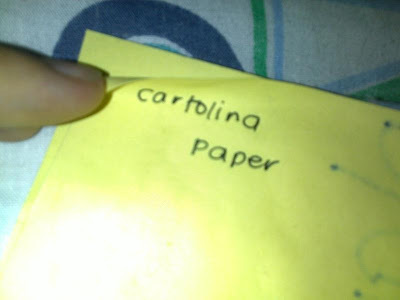 =)))))))) armiesiazon@yahoo.com po email ko thank you again! Hi can i ask the missing part of the experiment..please cause im gonna prove it to our school..because its great idea to use glue...please send me the missing part to my mail..
Hello! Your investigatory project seems very interesting and we would like to attempt it as well. Can you share the missing ingredient with us? chitina13@gmail.com. My sincerest thanks! Hello po. Can you share the missing ingredient or procedure with us? My email is andreimartinez09@yahoo.com ... Thank you po and God Bless!!! 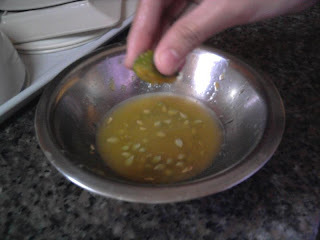 May I ask for the missing ingredient too for our investigatory project. Hi! We tried your experiment for a project in school but it didn't seem to be sticky! :( please help! Hello po. Can I know the missing ingredient?? I need to prove to my teacher that making glue from bones is possible. May I please know the missing ingredient as well? Will state your blog as a reference. Many thanks in advance. samsonandreaaa@gmail.com. please send the missing part po. Pleaseeeee. Thankyou so much!!! Hello, my email is anunalife@gmail.com. Can you also send me the missing ingredient? Hi! My email is asera0106@gmail.com. can you also send me the missing ingredient? I'm a highschool researcher and I'm interested in your study. Thanks.